Code of War is a casual Real-Time-Strategy (RTS) game set in the near future available on Facebook. You have to collect resources to build your base and army, recruit riflemen, machine gunners, mortar units. Build Humvees, LAVs and heavy tanks. Then unleash hell against the enemy. Code of War has been around for some time now, but recently received a new version and update, here are the main features and updates on the “New” Version of the game. We have improved the control scheme to give players more immediate control over their units during combat. Selected units not deselect automatically, allowing the player to keep control over their highlighted units. Players can deselect a selected unit by either clicking on a different unit or pressing the space bar. The scout unit’s functionality and durability have been greatly improved to add to their. Scouts are now much faster and have a higher maximum HP per level. This allows them to stay alive longer in the front lines and snuff out the opponent’s landmines. Improvements have been made to the notifications system. Players will now be notified in real time when a friend accepts to help on a building. A number of bugs have been fixed including the inability to purchase level 4 Bunker Buster XR missiles, Scouts destroying own mines, Research issues beyond level 8. The UI has had a number of little graphical improvements and fixes. Special units have been added to the game! These new units are fun, bonus units that can be earned by cashing in specific gear collections. 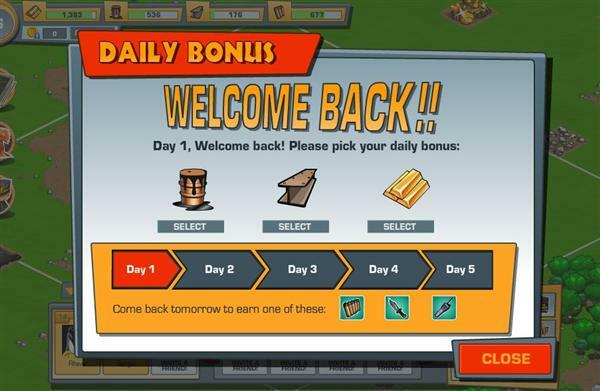 Zombie units are awarded when the Zombie Super Elite collection gears are collected, Automaton battle units is awarded when the Robo Components collection is filled, and the Visitor units are awarded when the exchange the Alien Gear collection. When your friends fulfill your building requirements, in conjunction to the instant notification, we have added an exclamation mark that appears above the building when it is ready. Need resources? Why not pick a fight? Or for the pacifists out there, why not ask a friend? Send help to an ally with a gift! Ammo is needed when engaging in combat, gain more ammo by building Ammo Depots or purchase some for credits from the market. Ammo is collected over time based on the amount of Ammo Depots you have and their building level. Speed up the wait time on Research and building by clicking on the clock icon at the bottom of the structure or build/research bar on the right of the screen. 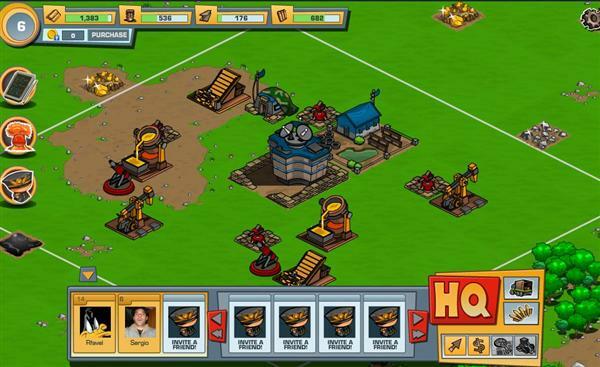 Destroy enemy buildings to gain resources and XP. Some enemy building structures may contain hidden Gear items. Special bonuses can be earned by collecting a full set of Gear items. Survivor mode contains special enemies and unique rewards. You can be attacked by the same player up to 3 times before becoming immune to attacks for a short period. Your base will automatically start to repair itself after an attack if you have the resources. Want to raise a bigger army? Upgrade or build more Barracks and Vehicle Plants. Want to have a deadlier army? Research the individual units to raise their level. Increase your player level to unlock access to special upgrades and abilities. You can retire units to make room for new ones using the ‘circle-slash’ icon on the upper right of the unit window. Press and hold the space bar and drag the mouse to select multiple units to direct them on the battlefield. Units cannot be deployed too close to structures on the battlefield. When you are able to drop units down, the drop zone will turn green. Each battle unit has its own strengths and weaknesses against Infantry, Vehicles and Buildings. Understand each unit to gain the upper hand. Bunker Buster missiles are excellent for destroying strong buildings, while other missiles are useful for eliminating groups of enemy units! Related Tags: RTS, strategy, Tower Defense Games.